Technological events and conferences are the medium between technology enthusiasts and industry experts. Listening to the experts voice their opinions first-hand, in real-time is a necessary action item in order to understand the path that technological updates are steering. As a blogger, analyst or speaker, attending a conference is beneficial to both, the organization that the individual is representing, as well as to the organization conducting the event. However, at times, a low corporate budget may cause you to miss out on some truly noteworthy events. Also, for budding developers and testers, it may as well do to take a dime out of their own pocket and visit these extremely useful events. In both the cases, it becomes imperative that you know what conferences to attend. As the digital world is expanding, applications and products are being updated at every turn. 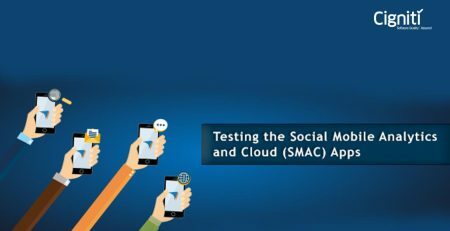 More than any service offering, testing is proving to be crucial. With continuous and end-to-end testing, there is a higher scope for shift-left testing and DevOps in the agile methodology. To hear first-hand about the significance of the digital world shaping up the internal testing structure, and other related topics, here is a succinct list of highly remarkable Quality Engineering and Quality Assurance events all over the world, but predominantly in North America. VMware primarily deals with security of data through operational virtualization. From getting certified with a 50% discount on certification exams pertaining to VMware, to networking with subject matter experts, top thought leaders and IT professionals, VMworld 2016 provides an array of social opportunities and special events. An acronym for Leadership in Quality Engineering, this highly awaited conference provides deep insights into how the industry is being transformed by virtualization, digital assurance, quality engineering, and quality assurance and how it all reflects in the internal structure of software testing. Cigniti Technologies is proud to announce this event. 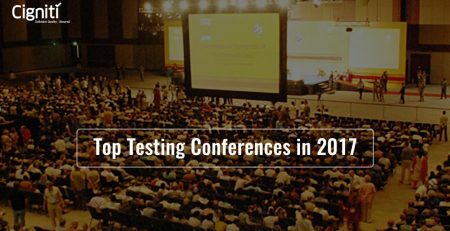 One of the most respected conferences on software testing and quality assurance, it has over 100 learning and networking opportunities. Speakers tackle topics such as Test Automation, Agile Testing, Mobile & IoT, Testing & QA and Project Management. An annual Quality conference, this year, with the theme “QUALITY MAKES $EN$E”, this conference covers topics on Risk Management and Quality Management Standards. The USA conference was a huge success, involving many keynote sessions, panel discussions and presentations. Talking about topics such as Agile Security and Authenticated Encryption, this event was conducted early this year and left a lasting impression on those who attended it. Book your tickets in advance for next year, or attend this event in Dubai. A highly anticipated conference, this event has talks on various topics that emphasize why it is necessary to steer away from Waterfall and delve into Agile Methodology. Key speakers talk about the importance of continuous delivery and DevOps. The shift to lean and agile methods is being increasingly achieved due to technological advancements and globalization. Cigniti Technologies recognizes the need for exclusive testing services to be provided across various industries. 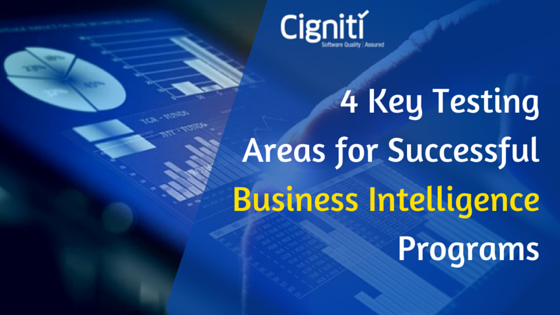 For more information on of the world’s largest independent software testing companies, log on to https://www.cigniti.com/.